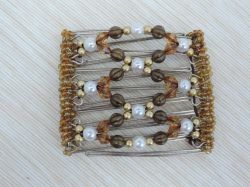 Butterfly Hair's amazing One Clip - Beautful Beaded Hair Comb! 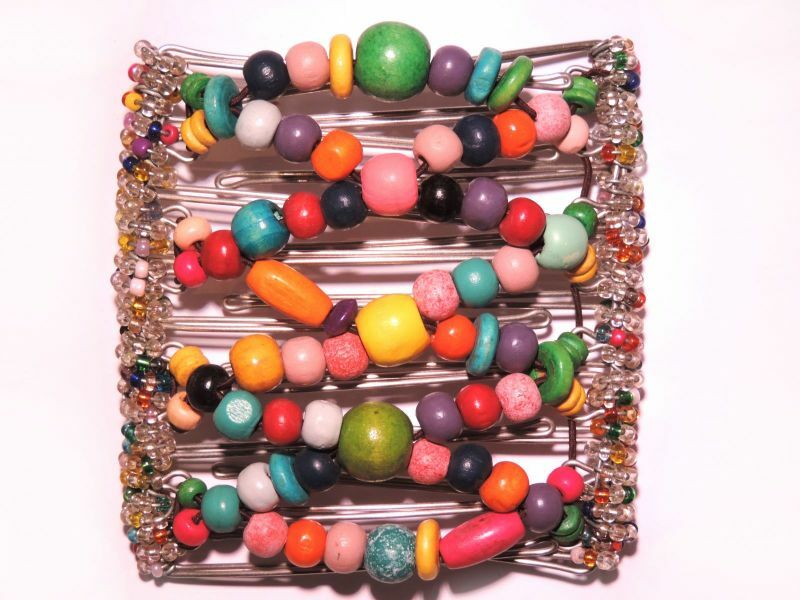 A striking clip in a range of vibrant colours which can't help but make you smile. 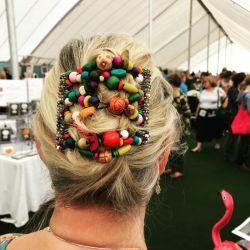 This clip has an assortment of different bold colour beads in numerous shapes and sizes that all work together to create a bright, fun looking design which compliments virtually any outfit. 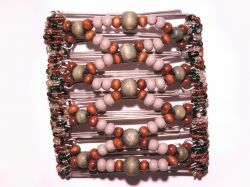 The side beads are predominantly clear with some brighter small beads matching the main bead section colours randomly scattered through the side bars. 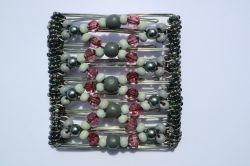 The variety in the colours and bead shapes and sizes makes this clip stand out from the more colour matched One Clip designs. 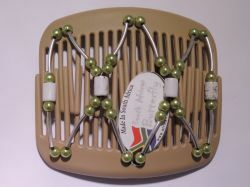 As with all of the One Clips it is easy to put in and very comfortable.